It is more difficult these days to recall just how Doc looked. He was a big man with glasses, usually resting upon his nose, no tie, rumpled pants and most of the day sockless in his shoes. Doc was a practitioner of family medicine. Everyone just called him Doc. He delivered babies, puppies, and the best conversation you have ever heard. Other than his wife and beautiful daughters, his loves were opera and pipes and fly fishing, most of the time in that order. Although there were days, he told me, that his pipes sang to him like Enrico Caruso or Placido Domingo in a stirring aria. Or a day spent on a southern trout stream with a large trout humming out his fly line like Renata Tebaldi, the Italian songbird and greatest soprano of any time. And sitting with him on his back porch, it was easy to see why he loved his pipes so much. Pipes gave him time to reflect, time to look back at his life and muse about mistakes and triumphs. 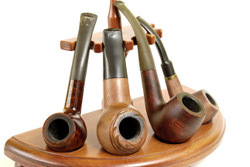 Pipe racks filled with vintage Dunhills, some dating to World War I and many more of World War II age, were evident testimony to his devotion. I was dating one of Doc’s beautiful daughters at the time of our back porch talks. 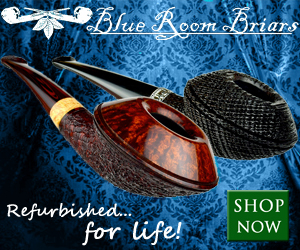 During those moments, Doc introduced me to the joys of pipe smoking. He said a pipe always made the man, and not the other way around. 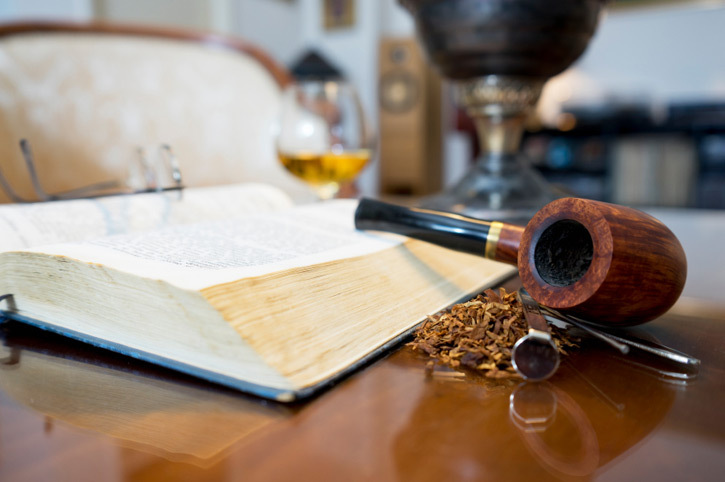 And the man of pipes and tobacco is also well-read. By that, Doc meant if you smoked a pipe, you needed to have a good working knowledge of distinguished writers in both fiction and non-fiction. There were quizzes on our back porch talks while waiting on his daughter. He would ask me to identify authors after he cited the lines of a novel, poem, or historical subject. Doc especially loved Shakespeare. To my chagrin as an English major, Doc would quote a favorite Shakespearean phrase, and then ask me to give him the act, scene, and line numbers. This was an enlightening time for me. I had no mentors to speak of in college. So, I substituted Doc for a professor on campus. Here, under Doc’s tutelage, vast learning tumbled out into my lap. Together with pipes and porch talks, I discovered the points of leadership, how to be a gentleman, the meaning of respect for others and different approaches to problems. He rounded off some of my rough edges. Maybe a lot of them, actually. One of the best lessons I learned from our back porch pipe talks is that there is nothing wrong with being wrong. “Learn from mistakes. They are the noble teachers. You will make mistakes. We all do. But the smart people learn and try not to repeat their errors. 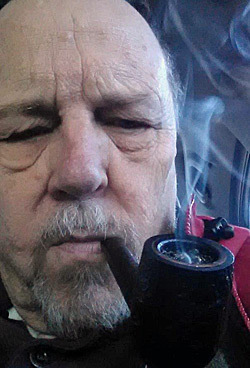 Under Doc’s steady hand, I also learned that not all pipe tobaccos are the same. He was, of course, partial to Dunhill tobacco, but he wasn’t patrician about his choices. I’ve seen him dip a pipe into a pouch of some over the counter blend he purchased at a drug store, or a can of Prince Albert straight from a country store shelf. “You need to be flexible with tobacco,” he told me. “Growing and harvesting years are different. Some seasons, that good ground just will not produce a leaf of grandeur. “Other years, farmers can’t get the rain they need to bring the leaf along properly. I never met a man like Doc before or since. He was soft spoken, never one to rush a judgment call or a decision. He treated everyone the same: kindly and with a smile. I always think of Doc when I have a pipe and a pint. Why he let me share a patch of his world, I’ll never know. So, before we leave today’s lesson, here are a few bromides from Doc I thought you might like. –Pipes are like people. Some are warm and friendly. Some are hard to get to know. And others just don’t fit in. Enjoyed the article, Thank You. Thanks; a helpful and hopeful read. That was really great — a fun read. I wish Doc were still alive and could attend our pipe shows. So much wisdom! I always enjoy your articles, Fred. Keep ‘em coming. Thanks to all. I love writing, and I especially love writing about pipes. Nice piece of writing Fred!